I discovered ETSY about the same time I started blogging in 2008 and I've been shopping there ever since. Mainly stationery, artwork and jewellery. ETSY is the World's most vibrant handmade market place. If you are looking for quality, personalised, original items by amazing artists, at fantastic prices, then this is the place for you. 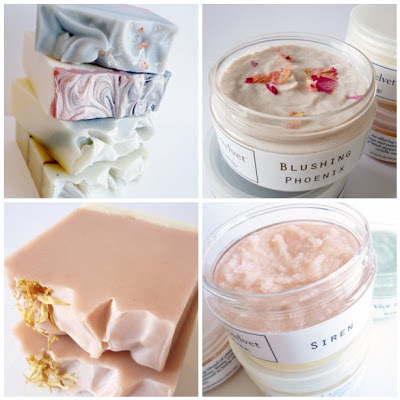 Today I want to introduce you to three of my new favourite Australian Etsy stores (I don't get compensation for doing so I really just love their products). Each of these shops have also kindly provided a separate giveaway for one person to win (ie 3 winners). So please visit their shops and have a look around. I hope you love them as much as I do. 1. The first store is The Love Shop. 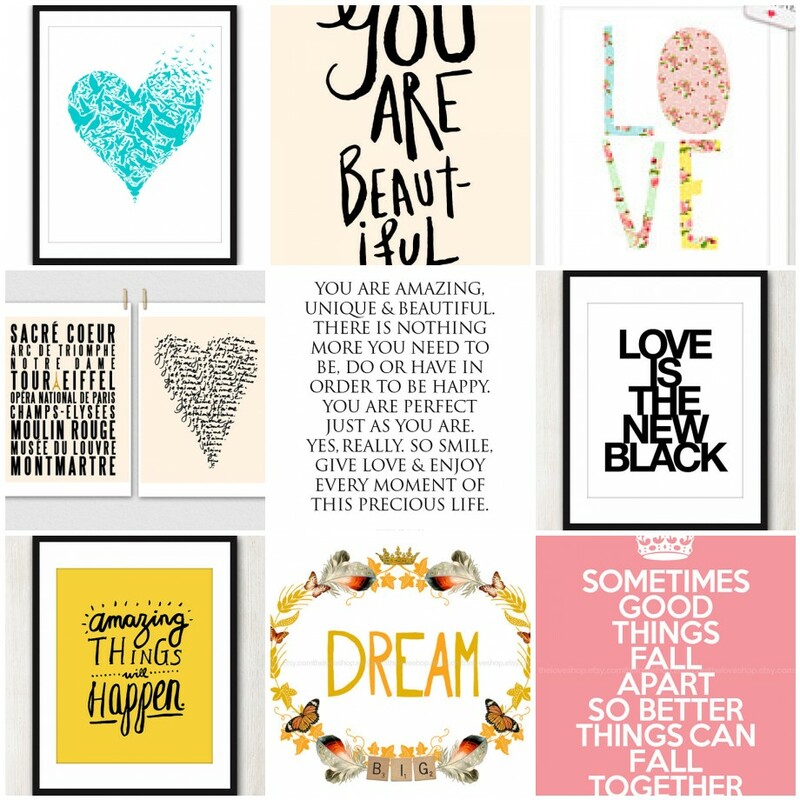 It sells beautiful typography art prints which focus on the positive and inspiring. These are some of my favourites. The owner JJ, started this store after she experienced some very challenging times. However, the love of others pulled her through and also gave her the idea for her store. JJ's artwork focuses on love and joy and is a real inspiration to many of her customers. I have bought prints from this stop and they look great framed and also make the perfect gift...for yourself or others. I use one of the prints as a daily affirmation - the middle one above. JJ has offered one lucky reader a print of their choice. All you have to do is go to the Love Shop and choose the 8 x 10 print you would like to win. Then fill out the entry form at the end of this post. 2. 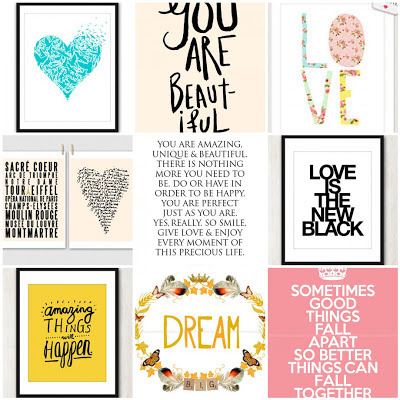 The second shop I would like to tell you about is Letter Love Designs. It sells the most wonderful, sophisticated, classic and colourful handmade personalised stationery. Letter Love Designs was born from owner Susannah's passion for colour, pattern, design, monogramming and beautiful things. She hand makes stationery that is both beautiful and functional. I know, because I bought my business cards from her and am returning for more in some other colours as well. All of the items in Susannah's collection are designed, printed, cut, glued, packaged, photographed and posted by her. It is quite unique in these mass produced industrialised times to buy such creative, exquisite personalised goods. 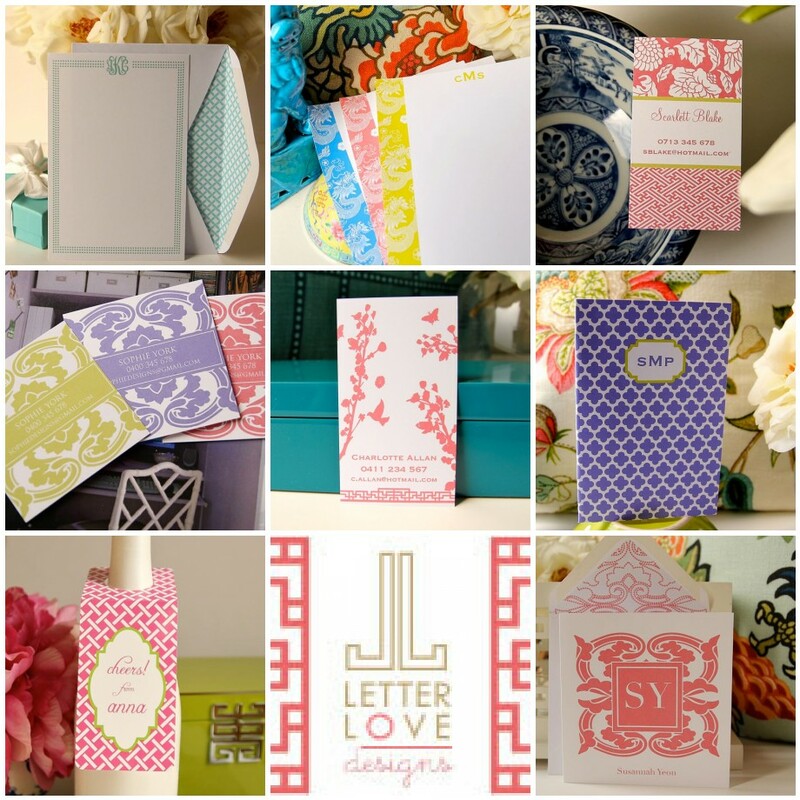 One lucky reader will win one item of your choice from Letter Love Designs shop. Items range from $18 to $38. To enter go to the shop and choose the item that you would like to win and submit your entry at the end of this post. 3. The third shop I want to tell you about is Vice & Velvet. This Melbourne based store sells handmade soap, bath and beauty products. The products are handmade from scratch and they look good enough to eat (although perhaps better not try it). Aren't the colours just gorgeous? The Soaps are crafted using the traditional cold process method with at least 50% olive oil. Due to the nature of making small, individual batches by hand, every bar of soap created is completely unique. The Bathing Whips have grapeseed oil and shea butter added for extra conditioning. The soft, bubbly lather means you can use it in the shower or bath, and it’s great for shaving too. The "Whip" is pH balanced for the skin and hair which is why it can also be used as a shampoo. The decadent Body Mousse is made with cocoa butter, shea butter and a blend of grapeseed, rice bran and coconut oils. It has a wonderfully light, whipped texture that absorbs quickly and injects some serious moisture into your skin. WIN three products - a Soap, Bathing Whip and Body Mousse. The winner may choose any scents of their liking. $30 value plus postage. Visit the Vice & Velvet store and choose the products you like or alternatively, 'like' the shop's Facebook page here.